Peugeot has settled on a price for its iOn electric car, which is of course a rebadged and reupholstered version of Mitsubishi’s i-Miev. Rather than sell the iOn, with all the complications over uncertain residuals and finger-in-the-air estimates of battery life, Peugeot plans to offer only a lease option when it begins shipments at the end of this year. For £498 per month (including VAT at the 2011 rate of 20%) Peugeot will lease the car and its battery, and will also cover servicing including tyres and brakes, over a four-year contract covering up to 40,000 miles. The customer will need to provide insurance and cover the relatively small cost of recharging the battery. 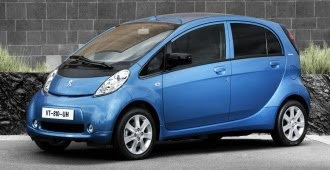 Over four years, the lease adds up to £23,904 – or virtually the same sum required to drive off in an i-Miev or indeed a Nissan Leaf next year, after government incentives. A plus for potential Peugeot punters is that the cost is spread, and that worries about battery life are someone else’s. A rather more tangible plus for Leaf and i-Miev buyers is that they don’t have to hand the keys back at the end of the four years. One curious detail is that the government’s plug-in grant, which is set to sweeten EV deals by up to £5,000 from January, applies only to purchases. The precise details of the scheme haven’t yet been published, but to date there has been no suggestion that public money will be made available to subsidise electric car leasing. Peugeot says the iOn is aimed squarely at fleets in both the public and private sectors, with consumer buyers targeted “to a lesser extent”. For professional purchasers, the iOn should prove to be a highly efficient vehicle, from a tax perspective as well as from a CO2 standpoint. For individuals, the iOn’s arrival does little to alter the view that Nissan’s Leaf currently looks the best electric car bet. However, we are still awaiting a price for Renault’s Fluence ZE. Will Renault home in on the consensus figure of just under £24,000, or aim for a more surprising figure? Could the big, booted French car rock the emerging EV boat – by coming in under £20,000?